Coming May 5, 2019. This one’s for the ladies! Celebrating its second year, the National Women’s Half Marathon and 8K promises a fun day of fitness in the heart of Washington DC. The race starts and finishes at West Potomac Park, home to the FDR Memorial and the Martin Luther King, Jr. National Memorial. Expect a relatively flat course with a few rolling hills, as you run past so many iconic monuments and sites such as the Jefferson Memorial, The Lincoln Memorial, The WWII Memorial and the Korean War Memorial. All finishers receive a technical tee and a medal, and cash prizes go to the top racers in both the half marathon and 8K distances. Post race enjoy food, beverages, and live entertainment. 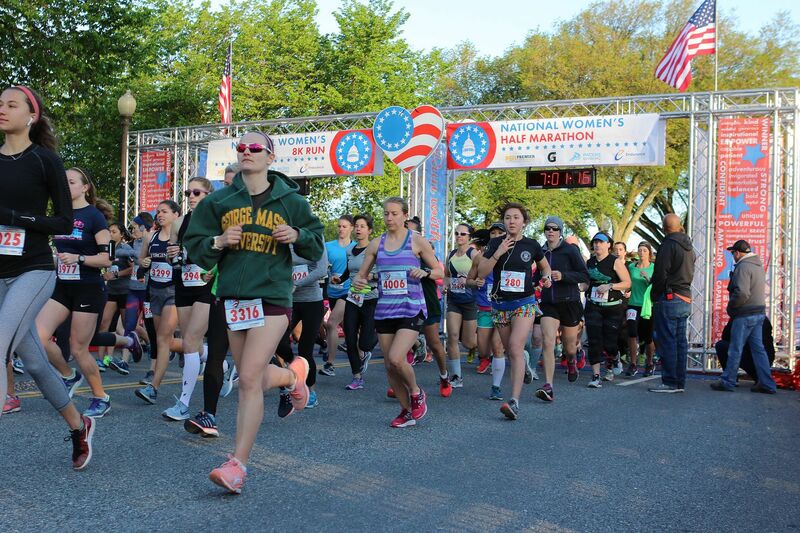 Join the fun at the National Women’s Half Marathon and 8K!